Mulan: Revelations – The Legend with a Cyberpunk Twist! This June, the legend of Mulan continues—but with a completely new twist. Though the future boasts endless technological wonders, only a very few can afford access to them. As a deadly new virus rages through the rich and the poor, threatening all of humanity, a warrior is awakened to stop the evil puppeteers behind it all! Centuries after her ancestor and namesake fought for China, a new Mulan has been chosen by the ancient Chinese Immortals to fight in a final battle for the world! Helmed by writer Marc Andreyko (Batwoman, Manhunter), artist Micah Kaneshiro (Blackout, Broken Pieces), and newcomer creator Robert Alter, the series is set to usher in a new age for a beloved legend. A must-read for science-fiction fans, Mulan: Revelations sees a battle not only for China, but the entire world. 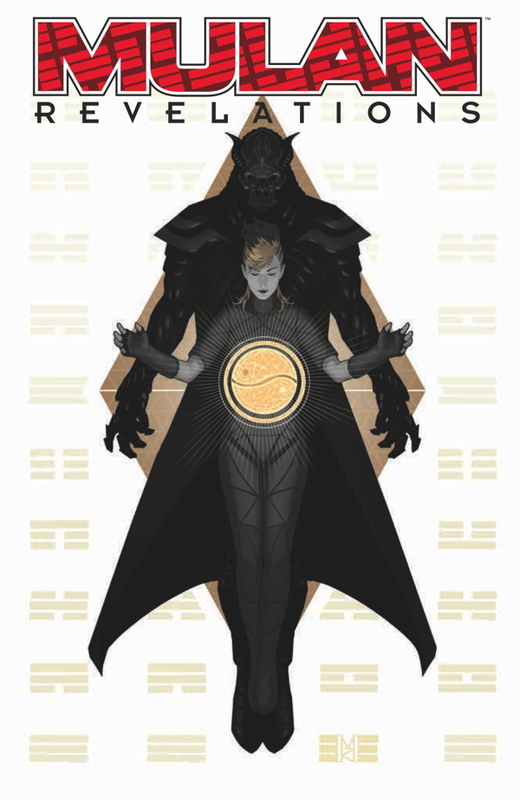 The exciting series begins in June with a thrilling genre blend of Chinese martial arts and futuristic cyberpunk sure to excite fans of Buffy the Vampire Slayer and Mass Effect.